And so the S-Class legend begins. 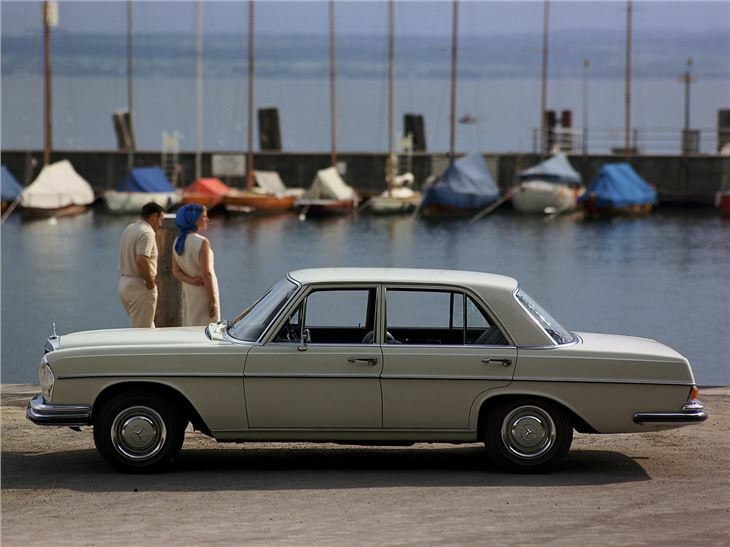 The launch of the W108 and 109 represented the point at which the large Mercedes-Benz range became the one-size-fits-all default-choice plutocrat motor. It was styled to (near) perfection by Paul Bracq, an object lesson in understated elegance. 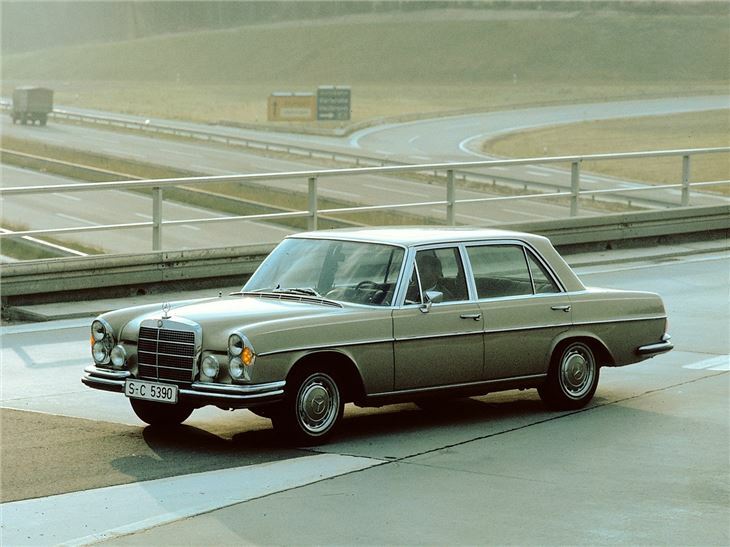 The S-Class range started with the 250 - in S form, it offered 130bhp, but adding Bosch fuel-injection in the SE added a further 20bhp, which had a positive effect on performance and fuel economy. 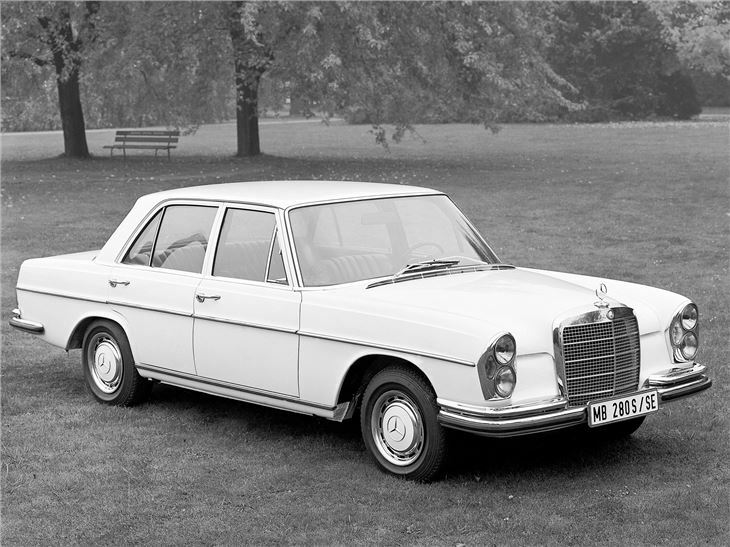 In 1968 these entry level models were increased in engine capacity to 2.8-litres, again in carburetted and fuel-injected SE form - and the long-wheelbase, previously offered on the top-of-the-range 300SEL was offered across the range. 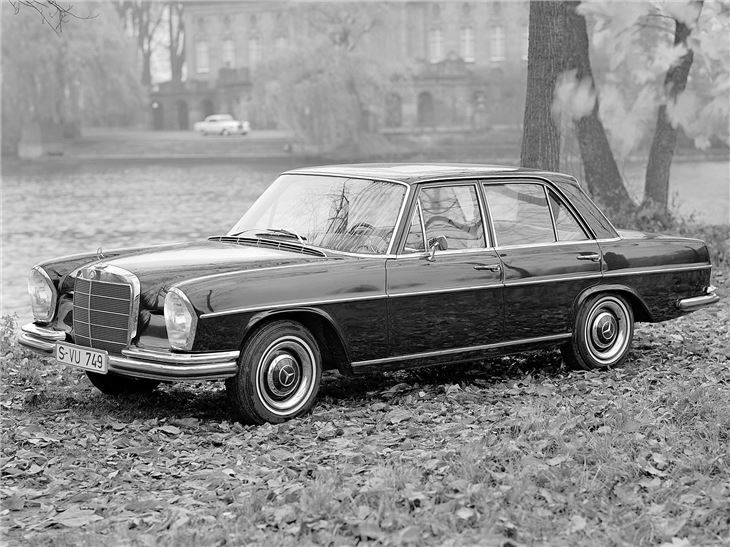 At the top of the range - intially at least - was the 300SEL. 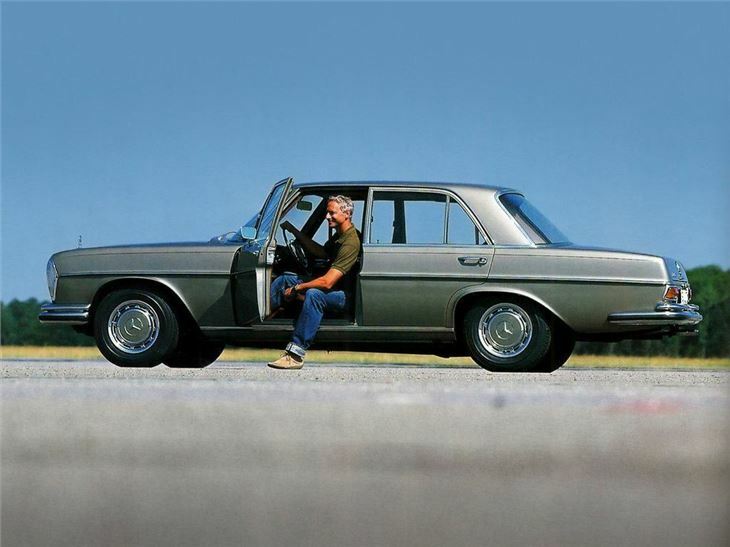 It combined the tried and tested 3.0-litre straight-six with a body that was 4in longer the wheelbase. The 300 was offered with a four-speed automatic, and later supplemented by an optional five-speed manual. 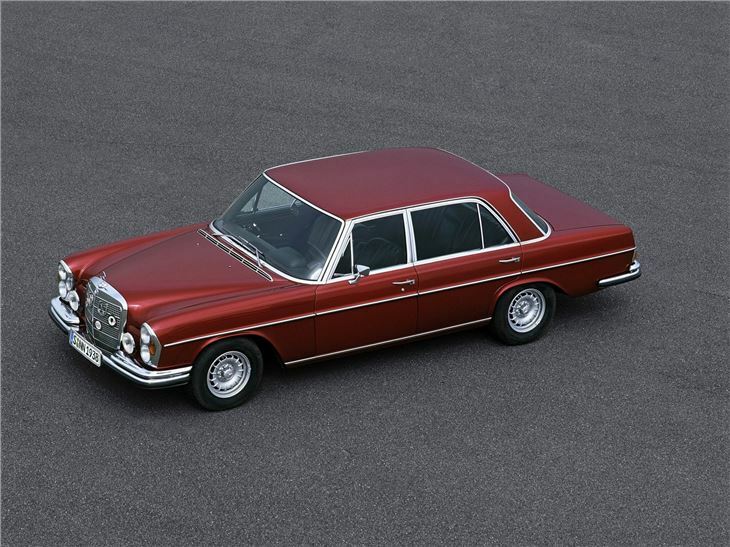 All 300s used the all-alloy 3.0-litre straight six until late 1968, when the SE was dropped and the 300SEL received the 280SE’s 2.8-litre engine. 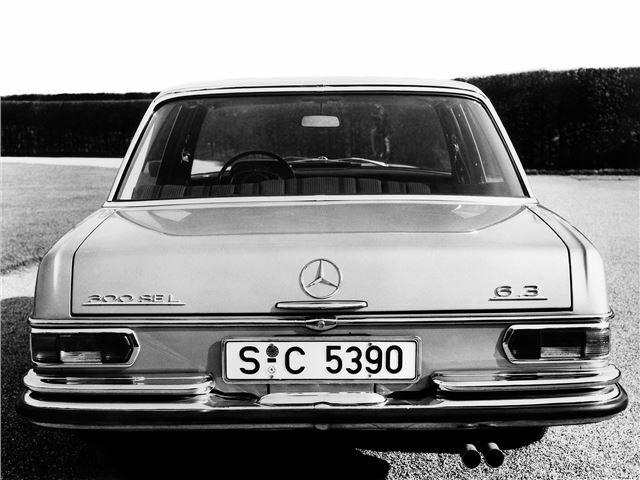 But if the 250/300 saloon and coupes were the epitome of the modern S-Class, consider that the 1968 300SEL 6.3 was the first of the truly muscular big Mercedes-Benz saloons. 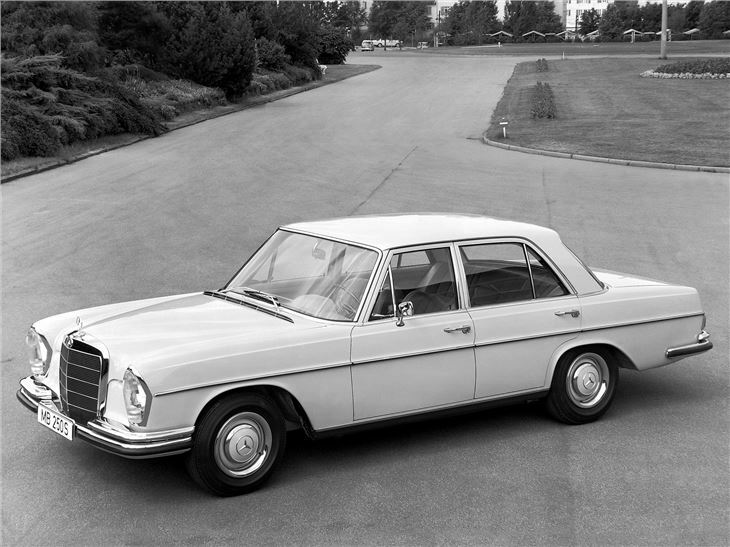 Essentially, it was created when Mercedes-Benz engineers dropped the 6.3-litre V8 from the 600 into the long-wheelbase 300’s bodyshell, keeping luxuries such as air suspension from the range-topping limousine. Performance was predictably towering, with a top speed in excess of 140mph, and a 0-60mph time reckoned to be less than six seconds. It's a performance legend now, helped in no part by being replaced by such icons as the 450SEL 6.9 in the '70s and the 560SEL during the '80s. 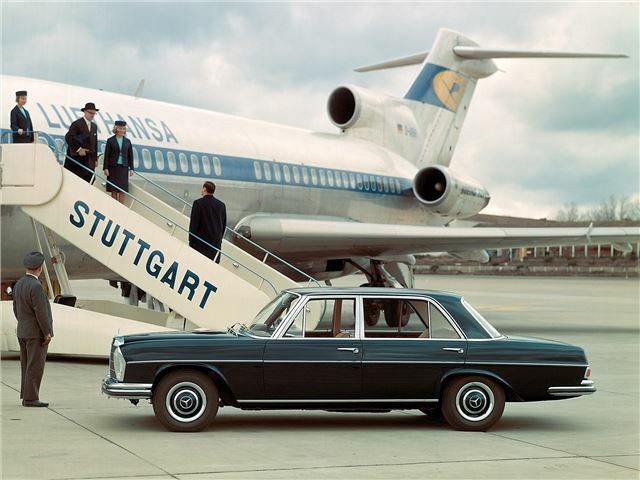 In 1969, Mercedes-Benz launched a new 3.5-litre V8 engine, and installed it under the bonnet of the S-Class saloon, creating the 300SEL 3.5 (and short-wheelbase 280SE 3.5). It was a usefully quick addition to the range, also plugging the gap between the 2.8-litre cars and the monstrous 6.3. the 3.5-litre was a nice compromise between the two, offering the V8 engine note and air suspension, but without the huge price tag and fuel thirst. 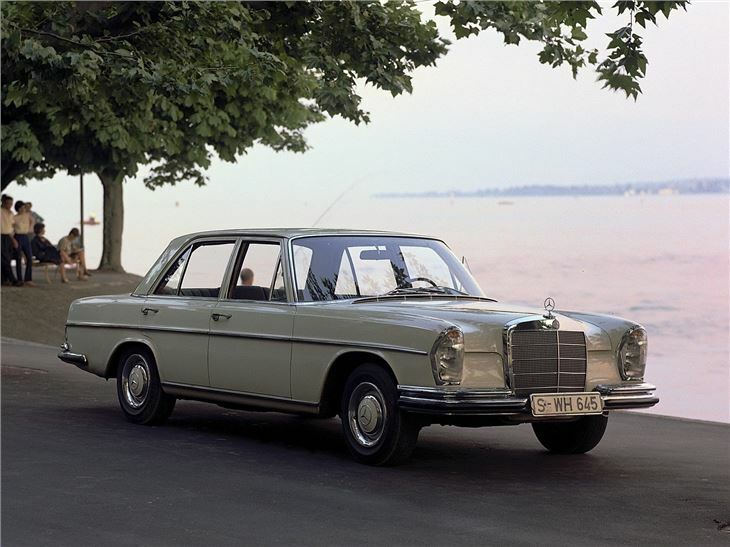 This car was probably the best W108/W109 saloon of them all, and is how it remained in production until the end of the line in 1972.